Plochmann Lane: Delaney Bramlett will be missed. 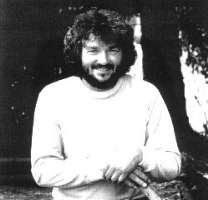 Delaney Bramlett will be missed. The great rock composer / musician just left us on 12/27/08 (born '39). He worked w/ many classic rock 'n roll greats & will be sorely missed. Bow Thayer & Perfect Trainwreck news. Mavis Staples new live album a hit. Happy b'day J. D. Salinger! Happy b'day Country Joe McDonald! Happy b'day to the late Odetta!